Q. Hi! Thank you for all you do!! Are the LeadCheck® test swabs from Home Depot sufficient enough to test my dishware? Also, even though Fiestaware says “Lead free: it could still have Cadmium in it, correct? Thank you and I follow all your work! A. The short of it is that the LeadCheck® test swabs (while a terrific tool for testing for lead in paint) are not intended for nor effective in testing for Lead in most dishware. LeadCheck® was specifically designed to test for lead in paint. 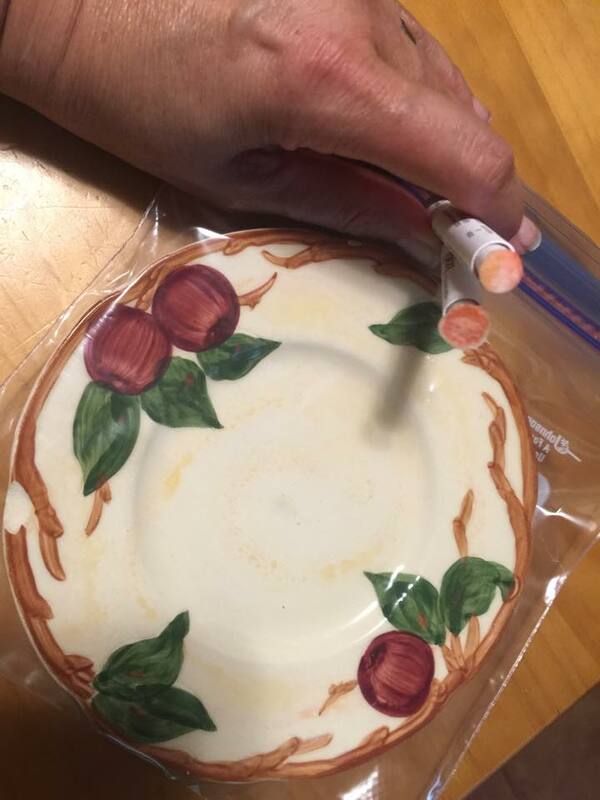 Some dishware is “low-fire” and may react to the LeadCheck® swabs in the same way as paint. As an example, the very popular vintage Franciscan Apple/Ivy/Rose/Cherry patterns will often test positive with a LeadCheck® swab. However, most dishes are “high-fire” ceramic, and even if they contain a very high level of lead they may not test positive with a swab. The only other common exceptions to this are the exterior colored designs on vintage Pyrex (and similar products) and the painted on decal type decorations on many new and vintage mugs and glasses (check out this study here) – those also frequently test positive for lead with a LeadCheck® swab, however if they test negative with a swab it does not mean the item does not have lead. The only effective and consistently useful way to test dishware for Lead is with an XRF instrument [outside of a (potentially destructive) lab test – in which the item is sometimes pulverized and/or subsequently subjected to strong acids or incinerated to determine the total lead content—a process which has its own potential serious drawbacks, apart from the potential damage to or destruction of the item.] Consider the following scenario: very high-lead content concentrated only in some particular (otherwise lead-free) dish’s deteriorating painted surface coating could wind up reading like negligible lead content—if expressed solely as a percentage of that item’s total mass! XRF testing will easily and quickly tell you if the item has Lead, and how much Lead the item has [although even an XRF test will have no way to confirm whether the lead is bioavailable and/or leaching into your food]. Since it’s not a simple (nor cheap) task to get your hands on an XRF, as consumers we need to demand that all of our dishware has NO LEAD, so that we don’t have to police the industry and test every single dish ourselves (which is simply not practical, given an XRF can cost tens of thousands of dollars.) 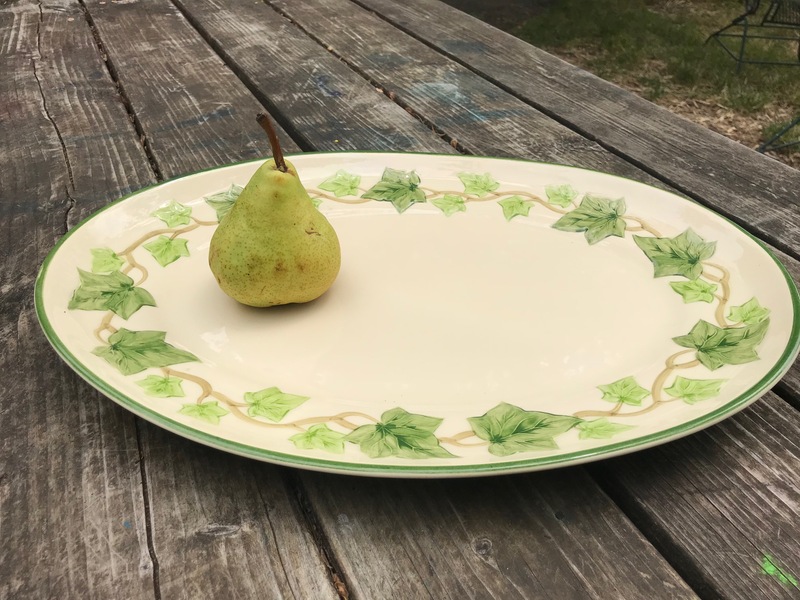 That said, I test as many dishes as I can and post the results both here and on Facebook, so you may be able to check out the index for the site (click here) to see if I have already tested your particular brand/ pattern/ vintage for Lead—and at least that is a starting point! I am working with parents around the country to host testing parties once a month or so, and if you want to chip in and help with the rental cost of the XRF you can send in a few items to be tested. To learn more about participating and getting your own stuff tested – check out this link. For #LeadFree and #LeadSafe options for your home and kitchen, please click here. If you are interested in learning more about testing methodologies or would like a link to purchase LeadCheck® swabs (that won’t cost you extra but will benefit my advocacy work! ), click here. Do you have any experience testing Johnson Bros. Blue Willow or Churchill Blue Willow? Just wondering if it has lead in the glaze. I’m not sure. Can you send me a picture? Thanks! Hi Tamara: my husband has some Indian pottery bakeware. It’s beautiful, but I won’t use it because I don’t know if it has lead. After reading the above post, I’m not sure how to find out for sure! Is there a reliable test anywhere? Thank you!! Can you share a picture with me? Hi! I recently purchased the Pyrex storage bowls with glass lids (was excited to see they now have glass lids) but now I’m disappointed because I realized after reading your site that the painted Pyrex marking may be a concern. Have you tested these Pyrex covers? Thank you! I have this one as well. Want me to send you a cover? I may have discovered a cursory way to test for lead in glaze on cups & dishes i would like to share. Maybe someone could comment? When i first placed this mug in the microwave for a couple minutes to heat some milk, i burned myself when i grabbed the handle to remove the mug. It was extremely hot, but the milk inside was still cool. What should have happened is that the liquid should have been hot and the cup lukewarm. The mug absorbed all the energy from the microwave and shielded the milk inside, preventing the milk from heating. Is this because the shiny glaze on the mug contains lead? Lead is an excellent shield against radiation and X-rays and is regularly used for this purpose. Perhaps you or someone could comment on this possibility: If a dish or mug looks unusually shiny & metallic and gets excessively hot in the microwave, the glaze may contain lead. This happens with my everyday dishes from Pottery Barn. I put them in the microwave and they get extremely hot but the item inside does not. Did you hear back whether this is a sure sign of lead? This is not confirmation of lead, my understanding is that it is a common myth. Hi. Have you tested plain white (with clear glass lids) vintage corningware baking dishes? The interiors of these pans are also usually negative for lead. Even the vintage clear Pyrex is usually lead free. It is a very good choice. hi tamara!! recently purchased a bunch of old dishes to do cupcake stands, cake stands for a craft/yard sale show i am participating in. about 1/4 of them tested very high, as in 50ppm for lead. obviously, these are NOT SAFE for any food stuffs. is it dangerous to physically touch dishes that are 50 ppm of lead? thanks a bunch. you really do an amazing job with this stuff!! Thank you. Could you email me a photo? TamaraRubin@mac.com, front image and back mark too. Do you know what year it was made? I just purchased a bunch of glass jars from ikea to store my dry food in for my pantry. Then I heard they’re made in china and contain lead. Are they safe to use or do I now need to start over? I have never found any lead in Ikea glass jars that I can recall. Generally Ikea has stricter standards (they go by European standards) than other vendors and they are a good choice as a result. I have some pottery soup bowls from Dryden Pottery made in 1984. I have been using these bowls for hot foods and have used the bowls in the microwave since 1984. Recently, I was told that the glaze on them does contain lead. How can I tell if these bowls are safe to use for eating? Leach testing can be destructive and costly. If they are known to be positive for lead I would just stop using them. Do you know if vintage milk bottles contain lead? Hi Tam, just found your site today in my beginning quest to find out if my bowls from the Dollar Tree have lead. I figure they do, cheap and from china. But wanted to know if you have ever tested any. Seasonally they come out with Fall, Xmas, Thanksgiving, Valentine sets of bowls, cups, plates, etc. Mine are bright orange or white with designs. What does the mark on the bottom say? Hello Tamara! I am currently on a mission to find glass jugs to store my families water for a week at a time (instead of using plastic jugs). I have seen you have tested the Mountain valley spring water jugs, but unfortunately I do not have easy access to those jugs. I have found several on Amazon (mostly growler gallon glass jugs, which should do the trick), but some descriptions don’t say whether it is lead/cadmium free while others just say lead free, and even then can I trust what they are saying? I was wondering if you had a brand that is more reputable for lead free glass that may carry gallon jugs. Thank you for all you do! Sorry I don’t have a good answer for you on this, I just have not done enough testing of gallon-size glass jugs to have a recommendation at all. I would say in general stick with clear glass and avoid recycled glass – but outside of those parameters I haven’t yet collected enough info. Hi there! I just bought a set of unmarked vintage champagne glasses that have a gold-rimmed lip. Do you think they are safe to drink out of (once a year)?Thanks! Thank you for the amazing info! I had been collecting fiesta ware because of the lead free they claim. I had no idea about the cadmium and arsenic. SMH. Are there any dinnerware/mugs/drinking glasses//cooking pots/pans that are free of all hazardous metals/other hazards? I just am at the end of my rope now. I can’t find anything. I thought I had found fiesta and it took me a long while to find just that. But now that’s out and I still don’t know what to do for pots and pans either.